Control the means of production by learning how to author your own video-driven web site today! 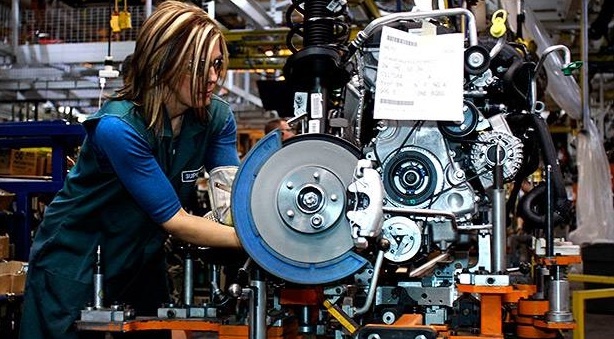 Controlling the means of production! Social Media web sites vs. CREATING YOUR OWN WEB SITE in 1 hour! 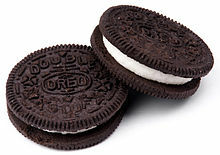 Have you ever eaten an Oreo cookie? You, too, can now learn how to self-author the HyperText Markup Language (HTML) code that supports your web site content. with some exceptions which the webmonkey will show to you. You can prove this to yourself by looking at the html source code for any web page. 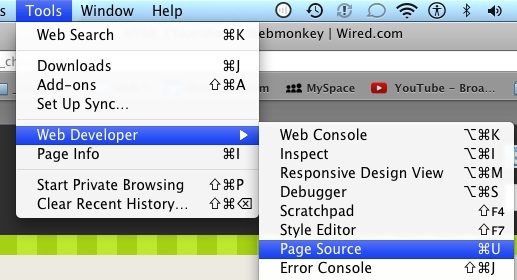 Just look through the drop down menus at the top of your browser window until you find a command for "Page Source." Go on: get under the hood. 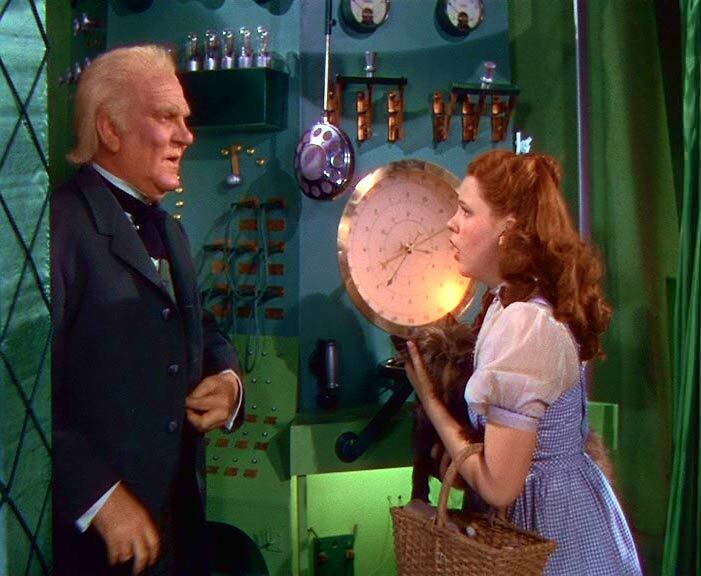 Uncovering a web page's source code is like Dorothy in the "Wizard of Oz" suddenly seeing all the tricks behind the Wizard's audio/video machinery. "Ignore the man behind the curtain!" 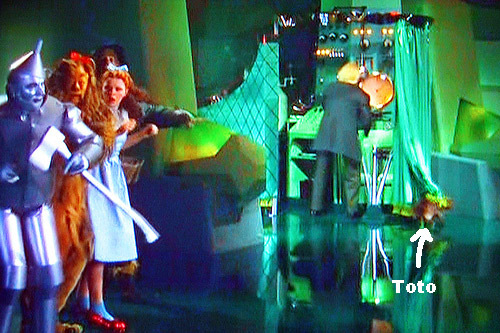 Dorothy and friends see that her little dog Toto has revealed the Wizard of Oz by pulling back his green curtain. •This is much like how you will feel whenever you reveal a web page's source code. All the switches that affect the Wizard's image projection visual effects are now in plain sight. • you need to learn at least the basic tricks-of-the-trade. •knowing basic HTML will help you get what you want from your web page's fundamental programming. •and an artist actually creating a beautiful sculpture. Blogs and social media sites use proprietary coding in an attempt to make it "easy" for non-HTML coders. •and never finish filling in all the boxes on LinkedIn.com, Facebook.com, etc. •look around at your Contacts/Friends pages on these sites. Avoid this understandable frustration by instead learning standard HTML code. Then, you can author, control and update your own web site. Learn how to "CONTROL THE MEANS OF PRODUCTION:"
I have even taught HTML code to high school kids who were flunking English but found it a breeze to learn basic HTML. •They created their first working web page within one hour of first hearing the letters "HTML." Then, tested their code on a computer to make sure their new web page worked as expected. This, before ever uploading it onto the Internet. 1) On your web site's Home page, have your best video or a direct link to that video. Your web address should be something simple and easy for people to remember. If your name is already taken, just add an appropriate word or two after it that is still available. is kinda long; but you get the idea. since pacbell.com will no longer be a working web site address. •Something simple like jim@JimRichardson.com works best. have a budding SELF-PROMOTION plan well in place. With a simple business card you can run off yourself at a self-service print shop like FedEX Office (used to be called Kinko's). Or instead, go to a similar local copy shop. in color on white card stock. •The shop must also have a good mechanical paper cutter that you can use for free. You can cut up the card stock sheets neatly to get 12 business cards out of each sheet. •Test to make sure you can easily slip your new business card into the business card pocket in your wallet. sooner than you might think. white card stock thick enough to feel like a real business card. Have your permanent phone number and your permanent email address tied to your permanent web site address. •That is crucial or your business cards that you have already handed out will become outdated. Begin by creating your basic business card with at least your permanent name, permanent phone number and permanent email address. Then, take 20 business cards to . . . even your first open mic or service club presentation. Why take your business cards to an open mic? Because most acts at open mics are very weak. at "unlisted"open mics, showcases and some professional shows where you can perform an unpaid guest set. This networking is crucial since new open mics start and end within an average of 6 weeks. It usually takes the owner of a non-comedy club about that long to admit to himself: "This just isn't working!" Because there is no return on investment (ROI) in allowing unfunny people onto his night club stage. So, networking via your business card is often the only way you can find out about the next open mic. career open mic-ers need your business card to locate you. •even before your first service club presentation. To get more such speaking opportunities, you need a business card. These service clubs are national organizations almost always visited at every meeting by members from other club chapters. If the visitor likes your talk, they will come up to you afterwards, and ask to give to their chapter's Program Chair. Plus, members of the chapter you are addressing know members from other chapters, and will want to give them your business card. •A recommendation is a much faster path to your next speech than making 10-20 cold calls. •Having a simple web site with a description of your topic and a very short video clip can go a long way to reassuring the Program Chair that you will do well. In short, just like the newbie stand-up comic, the wannabe business keynote speaker must first look the part. After awhile, you might want to hire someone to design a more professional looking business card and web site. Your old Do It Yourself (DIY) business card and DYI web site will both start to look a bit primitive as your act or speech presentation improves. Then, you will need a card and web site that better reflect you growing professionalism. •At that point, even cookie-cutter blogs just won't make it. •must present you as unique, a truly creative professional. I can design a business card and web site for you that is video-driven, career-oriented, mobile-first and fast loading. Or you can shop around. •Begin by collecting both business cards and addresses of web site designs that you like. This is the first thing any designer will ask you to do. So, get going on it now. But in the meantime, just create what I have described here for your initial card and web site. • Your web address on your business card needs to go to a web page that does not have the headline "Under Construction." which for now is just fine. More on web site design. Page last updated: Saturday, December 14, 2013, 12:22 pm PST and Wednesday, March 20, 2019, 12:38 pm PST.